Every business needs a quality website to serve as a solid first impression. We take quality, functionality, content, and aesthetics very seriously to give your customer the best experience when they are first exposed to your brand. We also focus on affordability and excellent communication throughout the process of building your site. 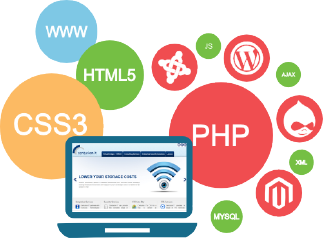 Our team is made up of experienced developers who are proficient with Wordpress, AWS, PHP, JSON, and HTML5. We’ve helped a diverse set of clients, including politicians, artists, and business owners.